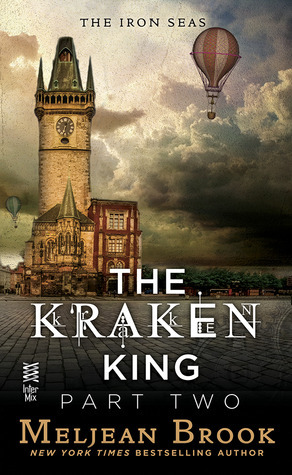 Note from Chelsea/VBC: The Kraken King is being published as a serial with a new part offered each week. 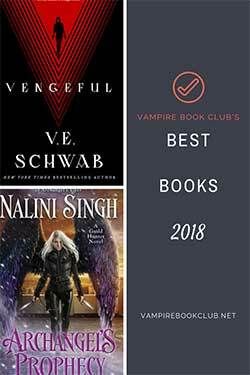 We’re such super fans of Meljean Brook’s Iron Seas series that we decided to review this as a read along. So each week you’ll get Amy’s take on the latest part and we’ll discuss it in the comments. Find Part 1‘s discussion here. It’s easy to catch up. The review and discussion below assume you’ve read Part 1. When last we left our ‘scribbling spinster’ she was determined to get her friend Helene to the Red City on account of Helene’s, shall we say, delicate condition. The Kraken King Part 2: The Kraken King and the Abominable Worm starts with Ariq deciding he needs to visit the smugglers’ den to see if he can get information about the marauders. 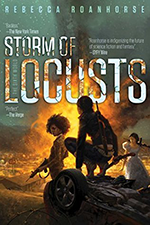 After exhausting all other options Zenobia asks if she and her group can accompany Ariq and his to the smugglers’ den and from there get an airship to take them to Helene’s husband. Zenobia just can’t get out of her head what Mara relayed about Ariq: He wants to learn her secrets. She was also put off by thinking Ariq may share the same sentiment as his brother; thinking Zenobia was ugly. Ariq, for his part, doesn’t know why Zenobia’s attitude towards him has suddenly changed, but just like his titular moniker, once he has something in his grasp he doesn’t let go. He figures this little journey will be the perfect opportunity to win himself back into Zenobia’s graces. I liked that, in following the flow of the story, the action scenes were more toward the end of this ‘part’ with exposition at the beginning. It was a nice opposite from Part 1, which had them reversed. It was also nice to see Ariq and Zenobia not being able to stick to their guns in regards to keeping away from each other. Zenobia is still wary of The Kraken King but she can’t seem to stop looking at his mouth! The ideas of fear and bravery were dealt with quite a bit in The Kraken King and the Abominable Worm. Helene cites Zenobia’s actions aboard the airship as though she was ‘having a picnic’, and goes further saying that Zenobia was going about the business of evacuating very calmly and when it came to jumping off the flyer she took the plunge with no hesitation. Zenobia thinks this is an incorrect assessment as she was terrified the whole time. Likewise, in Part 2, Zenobia again doesn’t hesitate when it comes to helping out her friends when the Abominable Worm strikes, even though it could put herself at risk. In contrast, Ariq states that ‘fear has no place in battle’. Yet he expresses his fear at seeing Zenobia jump into the fight, but not of the boilerworm itself. The ending of this week’s installment was much more intriguing than Part 1. I’ll admit, it is this moment right now that makes me wish this had been released in one volume. Do you think Zenobia’s fears about Ariq figuring out her “secrets” are well founded? Would you say that fear fueled Zenobia’s bravery? If she weren’t afraid of something or for someone would she still have acted in the same manner? I look forward to hearing what you think about Part 2. Next Up: The Kraken King and the Fox’s Den. Stay Tuned! 1. I definitely think Zenobia should be wary about people knowing her secrets. She was held at gun point several times just because she was Archimedes’ sister. And I think that just once would be plenty enough to scare the begeezes out of me. Not to mention the things that she knows because Archimedes told her, Like the whole Temur Agha thing. That kind of secret could get a lot of people killed. 2. I think that Zenobia is brave, but her childhood fear has made her *think* that she is just acting out of fear. If she was truly afraid she wouldn’t have jumped from safety to help her friends, she would have stayed where she was safe. I think that being a coward and being afraid are two different things, and Zenobia is no coward, but she is afraid. Which I think makes her intelligent and brave, not weak or anything. I like the point you make about her childhood fear making her “think” that she’s acting out of fear because I agree with Helene and Ariq when they comment about how calm and brave she was during the events of the airship attack. Even if she was afraid, she didn’t let it get in the way of making sure she and Helene (along with Cooper and Mara) got out.